Great craic, perfect parties, activities, and visits to the best attractions in Dublin and other great cities across Ireland. Qualified and experienced teachers, always seeking the student’s improvement and always ready to join in a good conversation in a pub. A mixed team with people from Ireland, USA, and across the globe always welcoming and ready to help. Advanced programs: as well as 5 levels of General English Courses, the school also offers IELTS and Cambridge Exam preparation, along with conversation classes. Excellent location in Dublin city center, close to all major institutions, tourist attractions and shops. Castleforbes College is in a quiet area only 6 minutes from O’Connell street.iends. At Castleforbes we are passionate about language. English allows you to go everywhere and communicate with anybody. Dublin, a truly international city, is the perfect place to study, learn, and communicate with other English speakers from all over the world. Our mission is to provide the very best possible learning experience for our students at a price that is affordable. 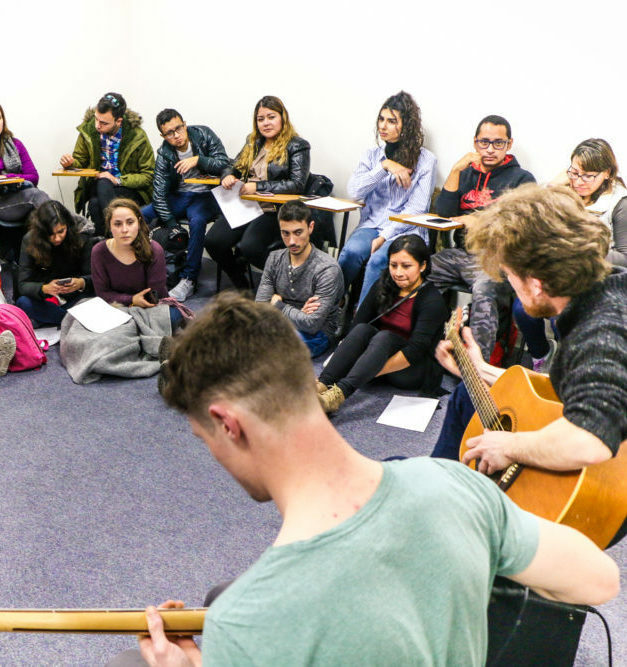 Learning doesn’t only occur in the classroom, so we aim to create an unforgettable and enjoyable experience that gives our students the opportunity to enjoy the very best of Irish and international culture. We believe that learning a language should be fun. The way to make this happen is to create a friendly, social atmosphere. Whether you are having a drink with us in the pub or having a chat in the student lounge, you are always developing your English language skills. Our enthusiastic and helpful teachers pay attention to different learning styles and interests and adjust their teaching to your needs. Come aboard and make the right choice for your language needs! Castleforbes College is located in the very heart of Dublin, approximately 9 km from the airport and near to all famous landmarks. Getting to school is easy, either by bus, tram, or train, as well as on foot or by bike.